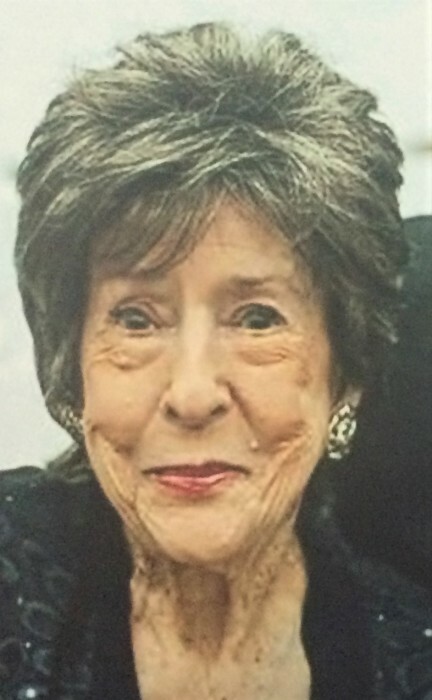 Graveside services for Helen Thrasher,90, of The Colony, Texas, will be held Sunday, March 31, 2019, at 2:00 p.m. at Gann Cemetery with Bro. John Williams officiating. Ms. Thrasher was born April 19, 1928 in Lufkin, Texas, the daughter of William Dell Basham and Reba Davis, and died Friday, March 29, 2019 in The Colony, Texas . Ms. Thrasher loved her grandchildren, working crossword puzzles, and the Dallas Cowboys. Ms. Thrasher is survived by her son and daughter-in-law, Jim and Linda Thrasher of The Colony, TX; granddaughters, Jaclyn Hamlin and husband, Stuart of Conroe, TX; Jennifer Thrasher and fiancé, Eric Davidson of Farmers Branch, TX; nieces, Debra Allen and husband Jeff of Central, TX; Donna Graham and husband, Mark of Central, TX; brother, Don Basham of Central, TX; great-niece, Brittney Stewart and husband Josh, of Utah and great-nephew, Blake Townsend of Central, TX . She was preceded in death by her husband, Armon Leonard Thrasher; her parents; brother, Joe Basham; great nephew, Todd Basham and sisters-in-law, Betty Jean Basham and Lillie Basham. Visitation will be from 6:00 p.m. to 8:00 p.m., Saturday, March 30, 2019 at Shafer Funeral Home Chapel in Lufkin.